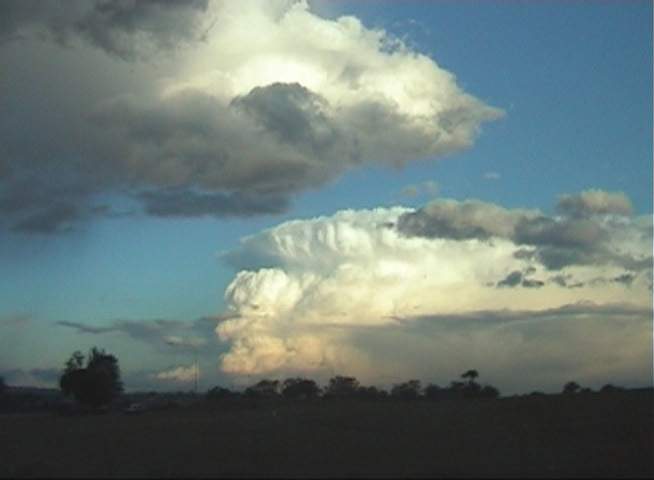 We anticipated that 24th October 2004 would produce supercells with very large hail. 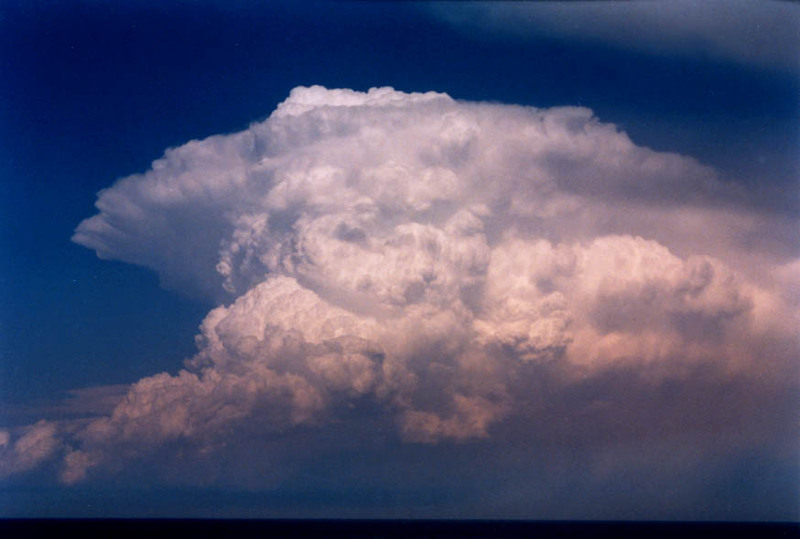 But what was intercepted was one of the most impressive classic supercells since chasing in Australia. 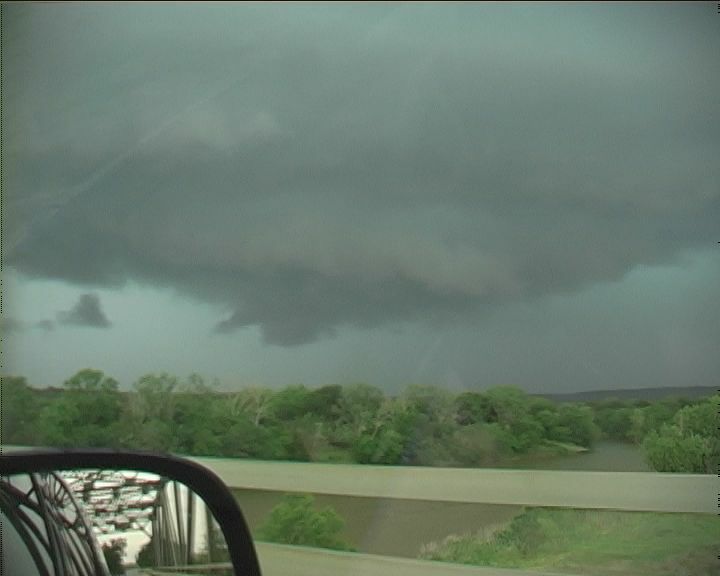 And this one was very large with substantial base and mesocyclone. 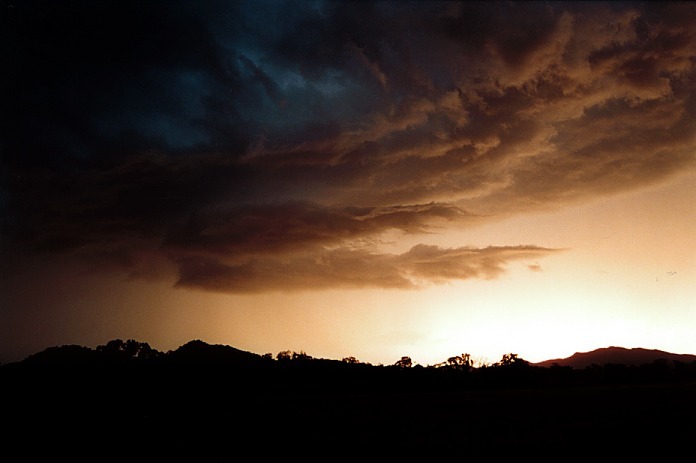 The storm was also long lived veering east to northeast from west of Mudgee through Mudgee to Musewellbrook and on towards Taree. 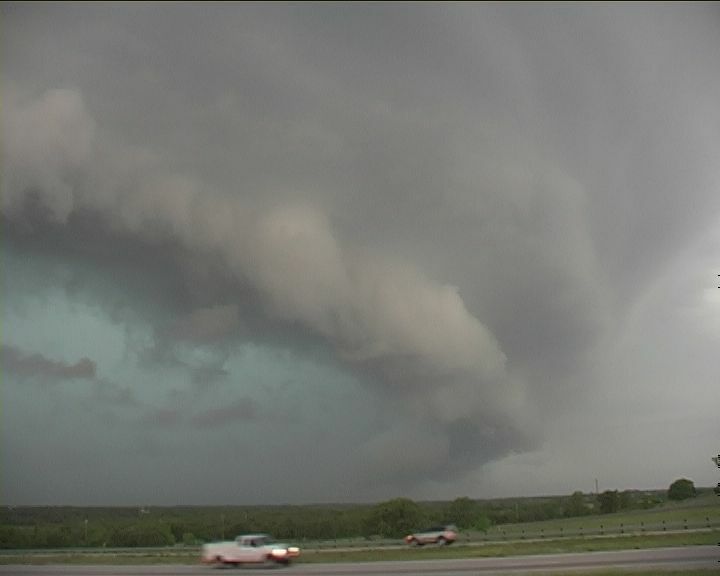 By this stage it would have been embedded in a Mesoscale Convective System. 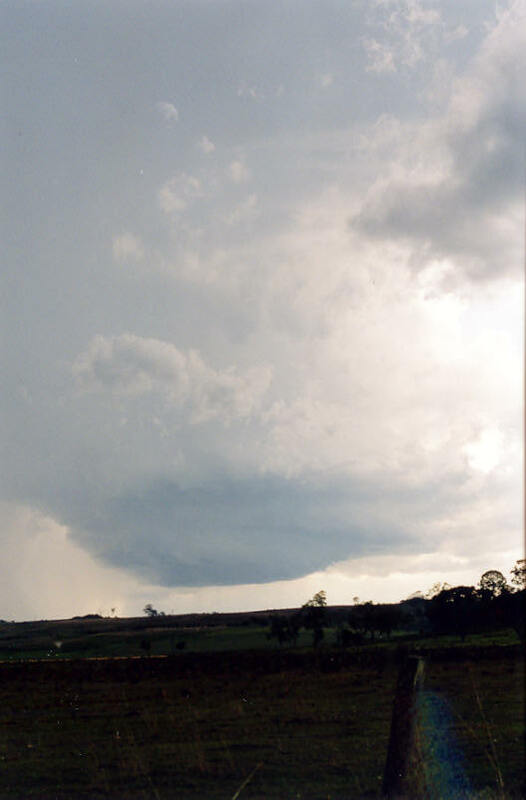 Other supercell signatures occurred west of Taree. 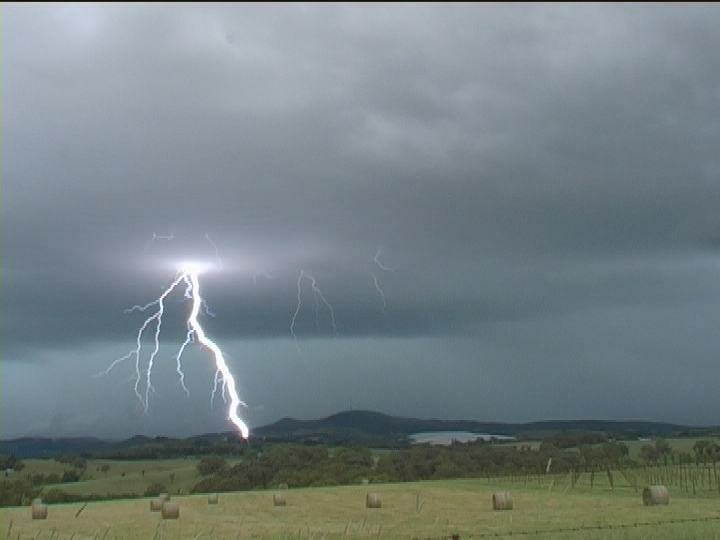 Unfortunately, this storm devastated the Muswellbrook and the surrounding region. 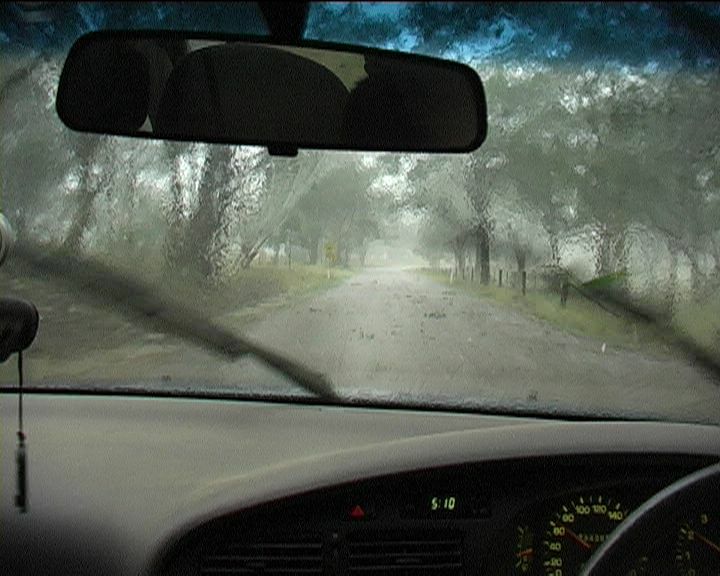 Car yards reported significant damage to vehicles including shattered windows and roof damage particularly broken tiles and deep dents in corrugated iron sheeting. This region also prides itself to wineries that also reported significant losses. Leaf litter along our path of intercept was incredible. 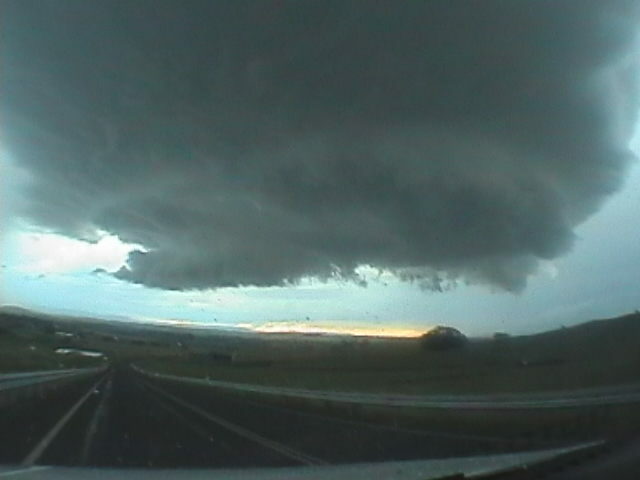 This chase took us along the longest path length of any hailstorm chased - at least 100 kilometres. 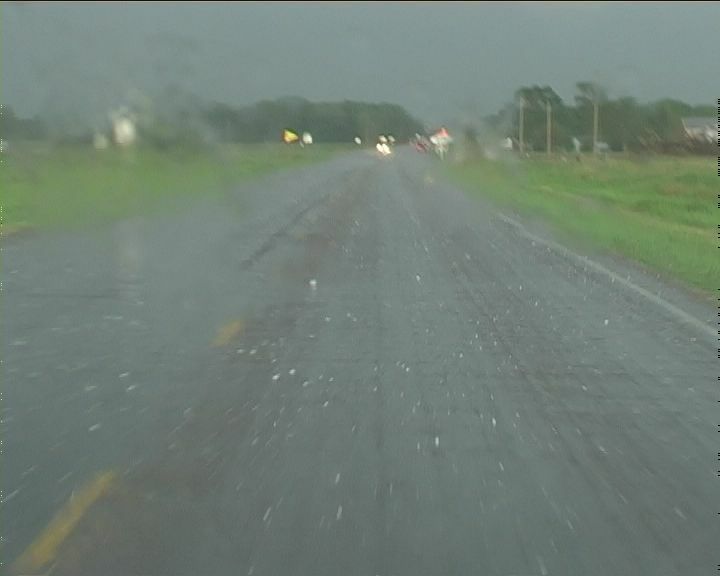 We were in and out of various hail sizes as we entered and exited the core due to the road network. 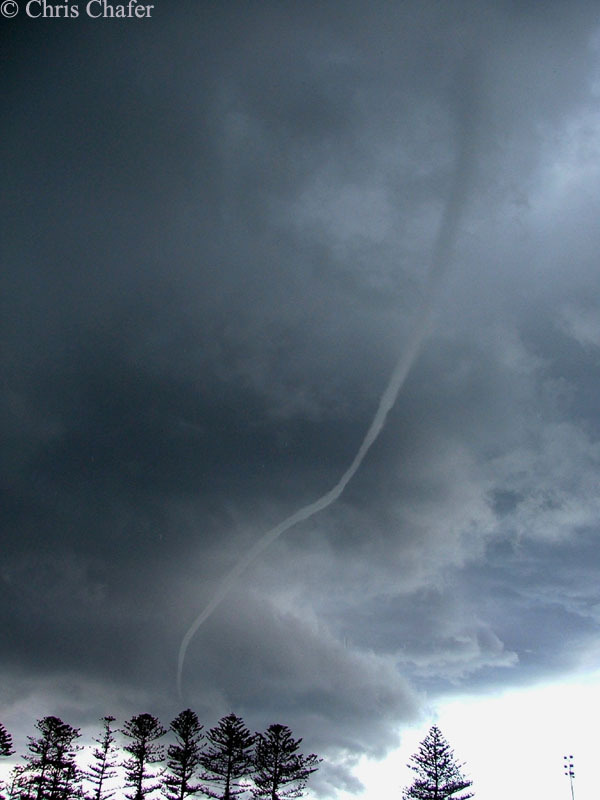 This was one, powerful storm. 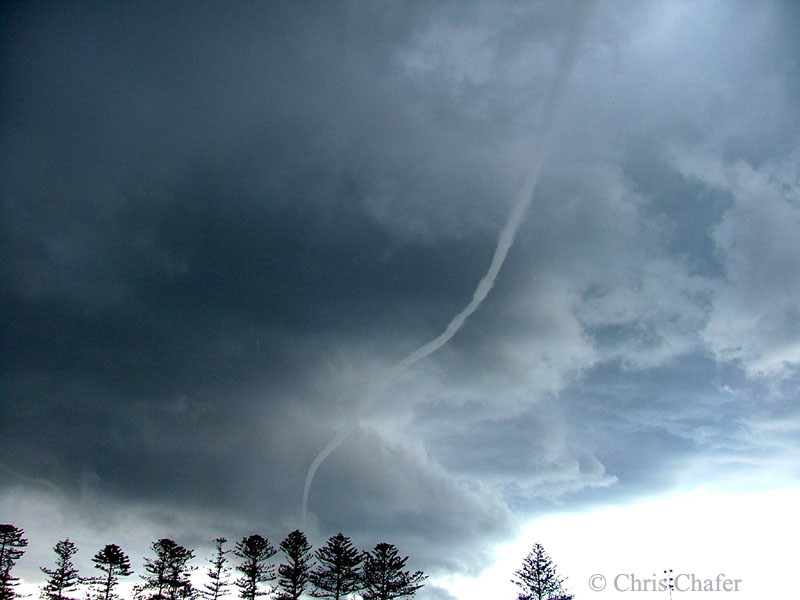 The 30th January 2004 was an impressive marginal event. 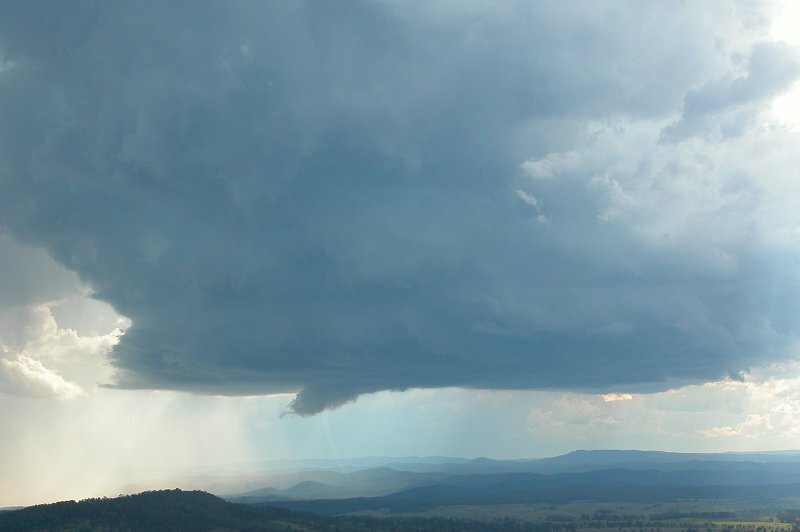 In other words, despite not much being anticipated, the upper atmospheric cooling did enhance the development of storms as it approached mainly the coasstal districts of New South Wales. 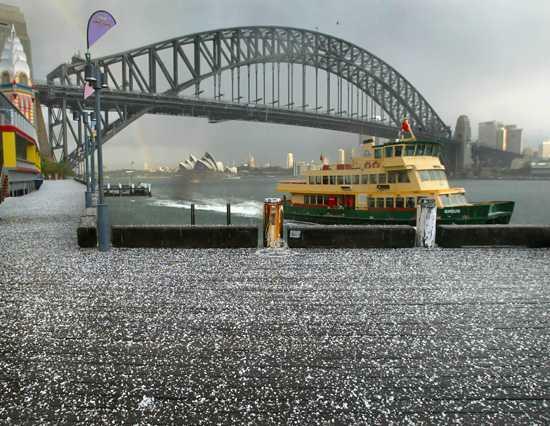 Large hailstones were reported in areas south of Sydney and the north coast. 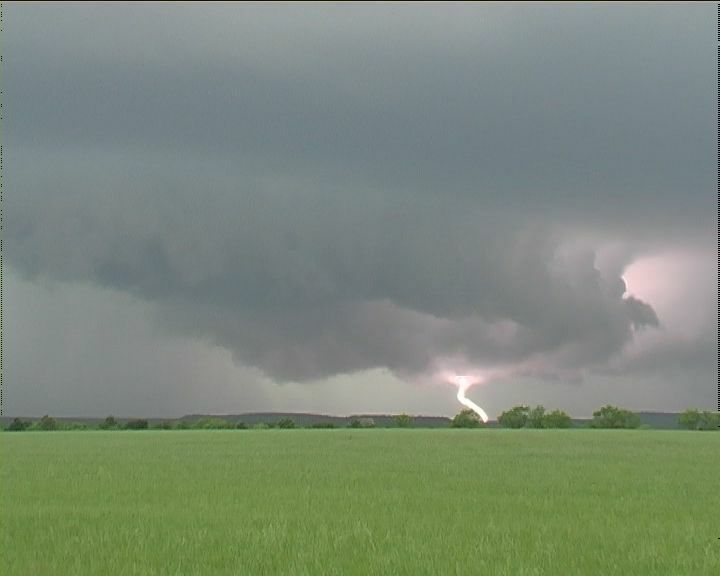 Impressive storms including some likely supercells exploded about early afternoon. 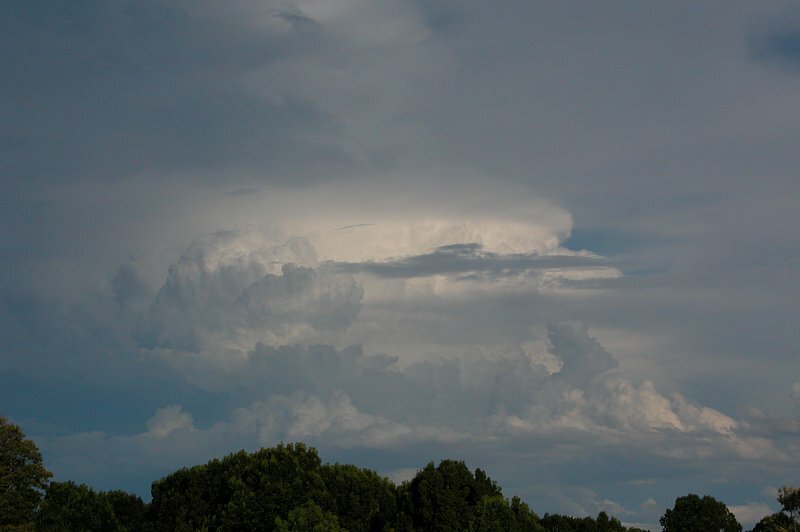 The updrafts and the lower level structure were simply awesome - the updrafts exhibiting powerful bulges extending to overshoots. 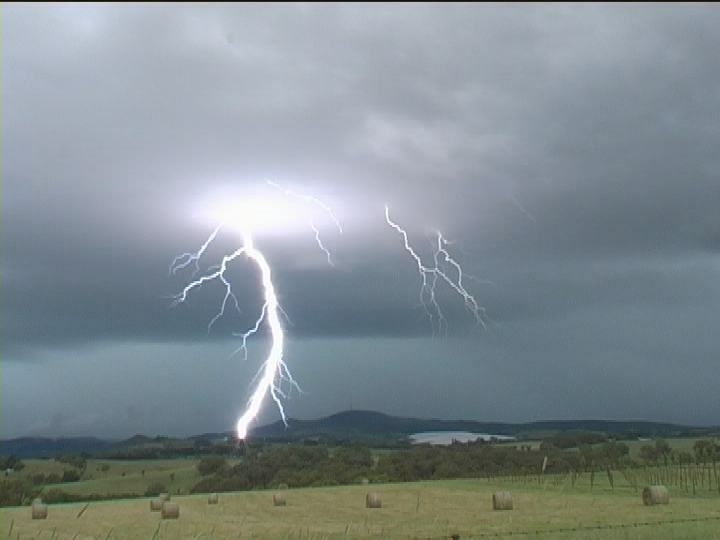 Dave Ellem intercepted one of these storms on the north coast. 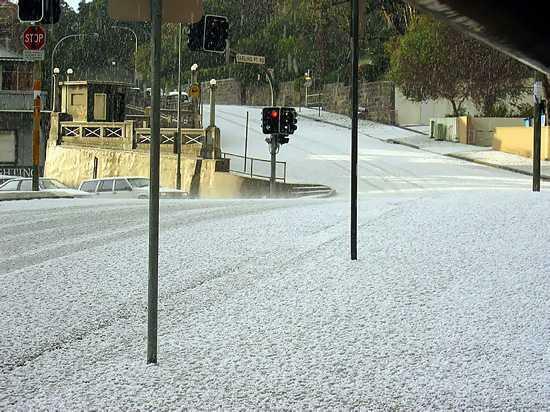 The impressive Sydney hailstorm of the 5th September 2004 developed in a cold pool and upper trough enviroment. 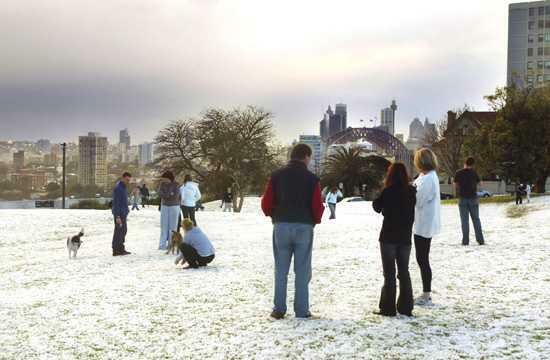 Although this event did not produce extensive damage, Sydney's coastal and inner western suburbs was covered by a blanket of white. 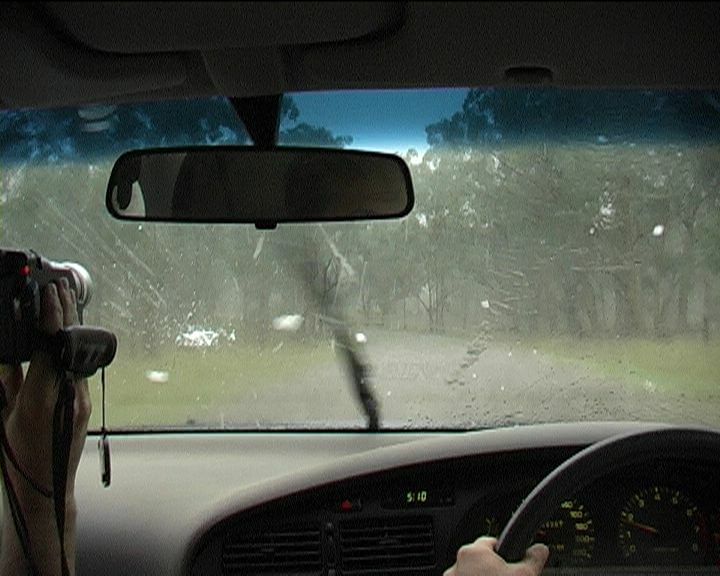 Severe storms also affected the regions south of Sydney with areas such as Bowral also reporting hail drifts. 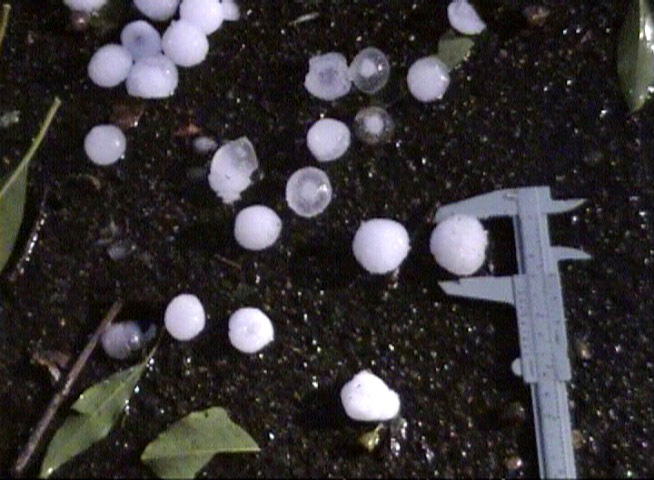 Hail size was mostly less than one centimetre but isolated severe cells produced hail to the size of golf balls. 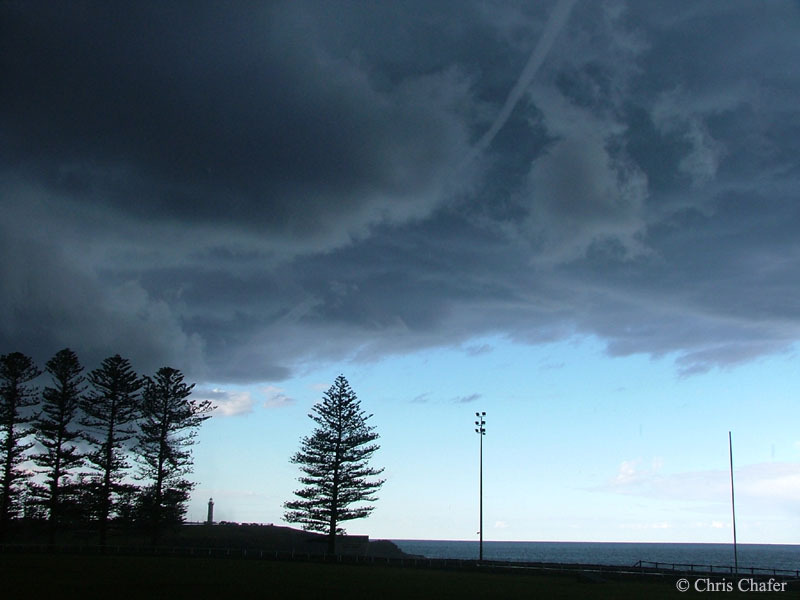 The region of Kiama witnessed a few waterspouts from separate convection. If you have any images from this date, please feel free to e-mail us for submission. An article of the event will be submitted shortly. 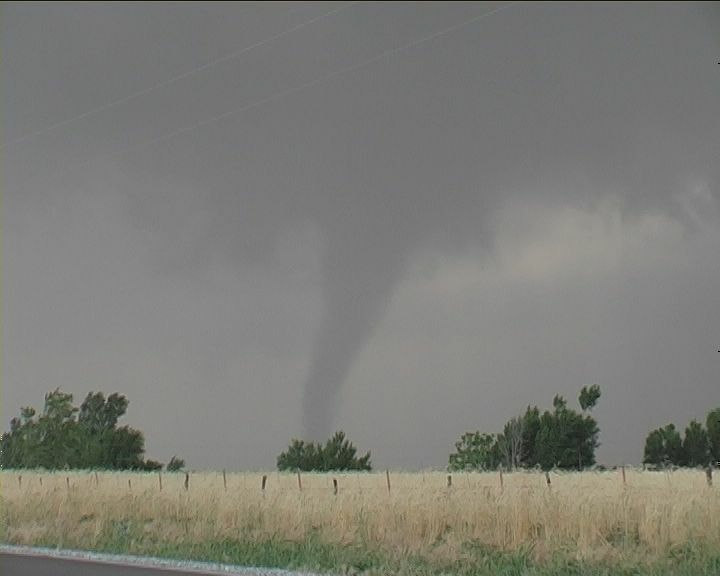 David and I intercepted observed at least one tornado though other tornadoes were rainwrapped and difficult to see from our perspective. 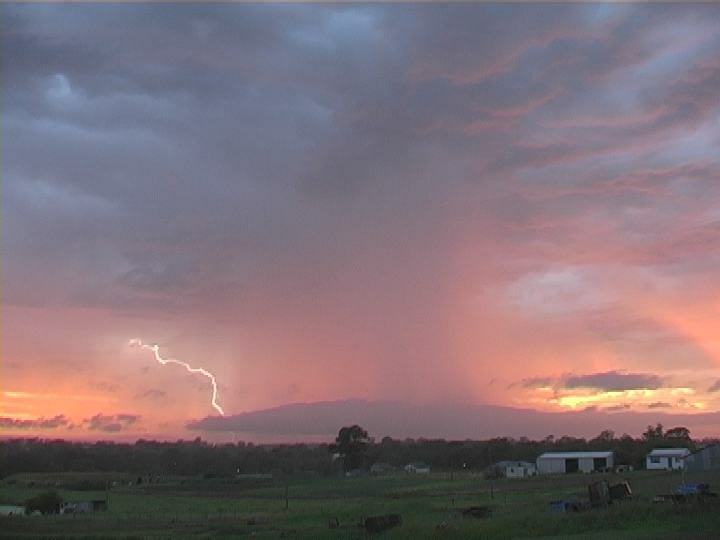 Powerful cloud to ground lightning was another feature of this storm!! 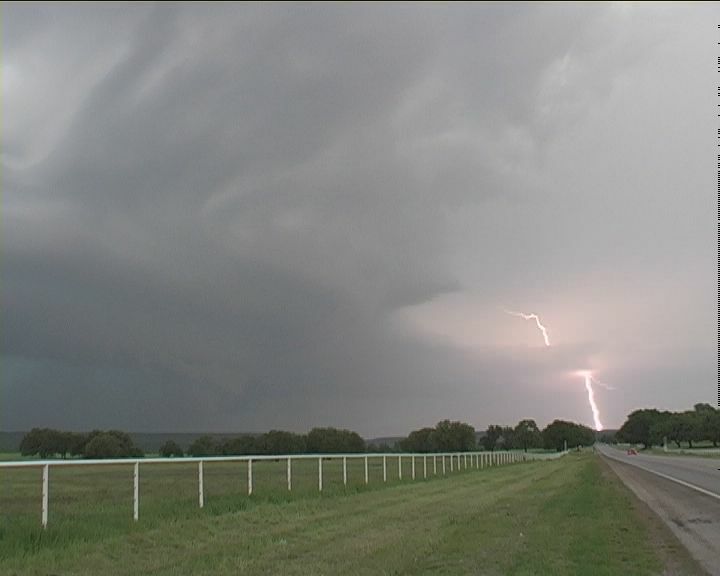 The 12th May 2004 may well have produced one of the most incredibly sculptured classic supercell David Croan and I had ever observed. 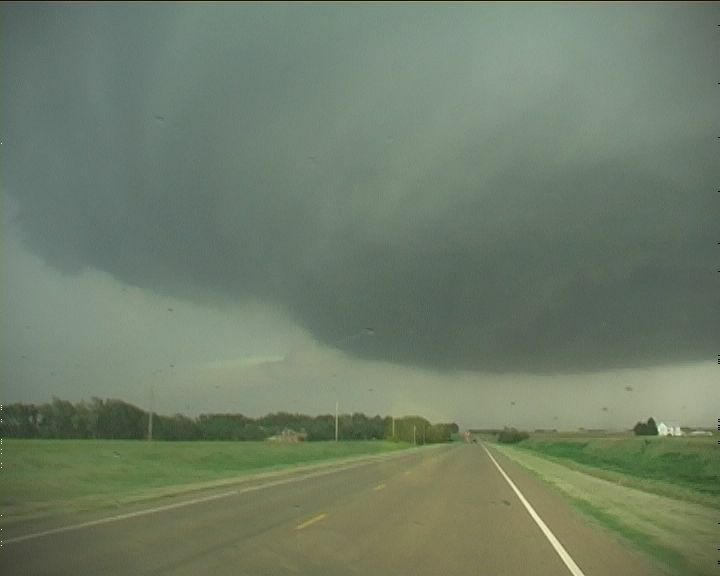 This cyclic supercell maintained its dry classic supercell characteristics in its early history producing several tornadoes on its journey east. 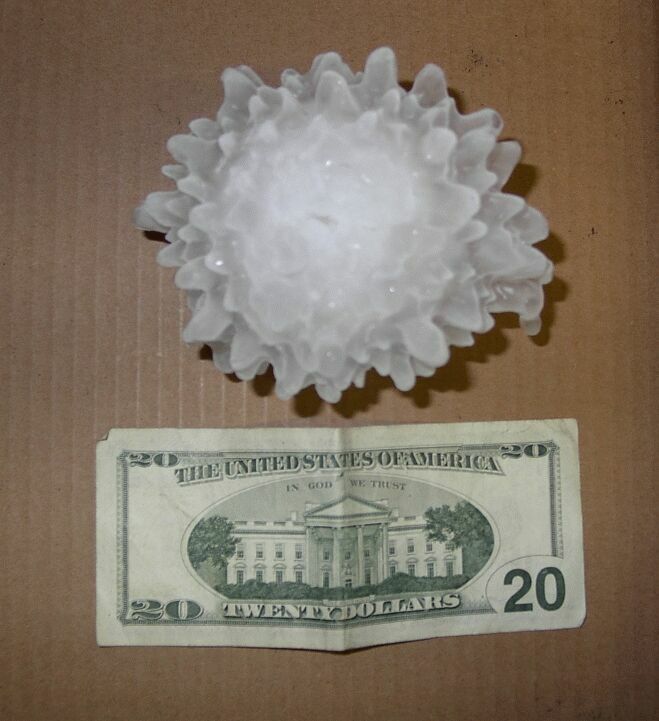 Added to this were the giant hailstones to about 13cm in diameter spawned by the storm. 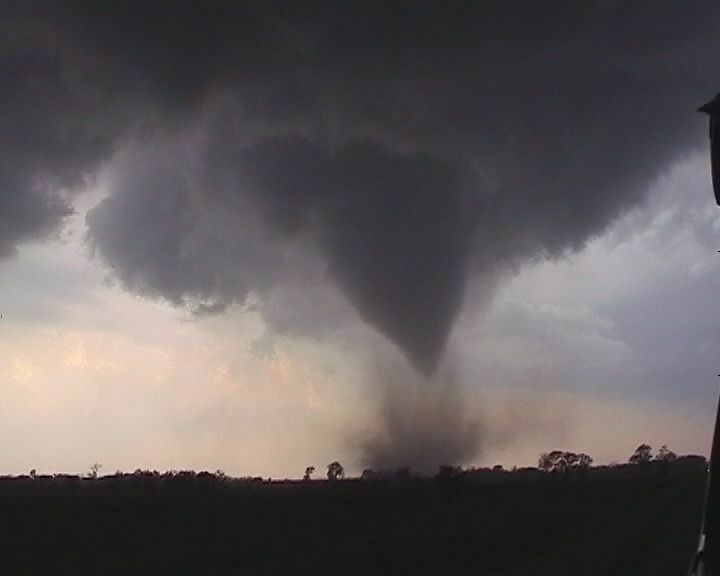 Two houses were badly damaged or destroyed by the tornadoes with the strongest tornado occurring after dark. 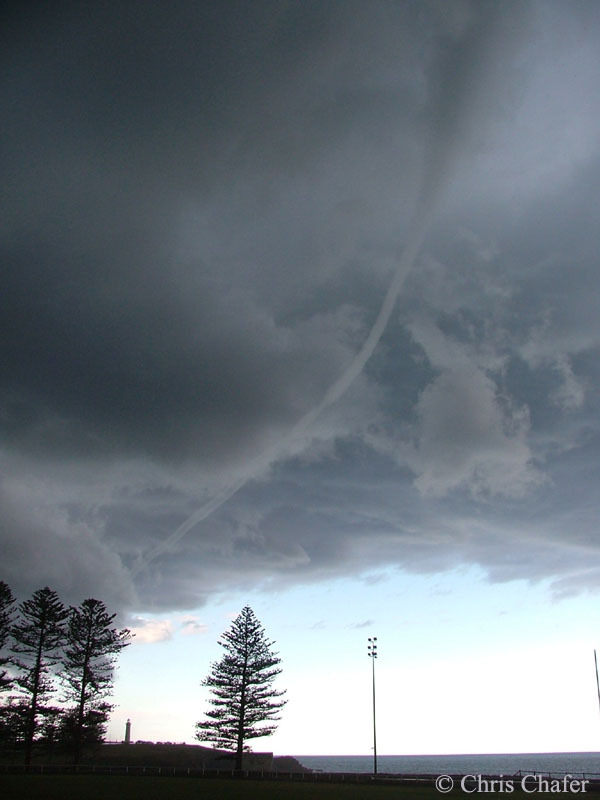 Fortunately there were no deaths attributed to these storms. 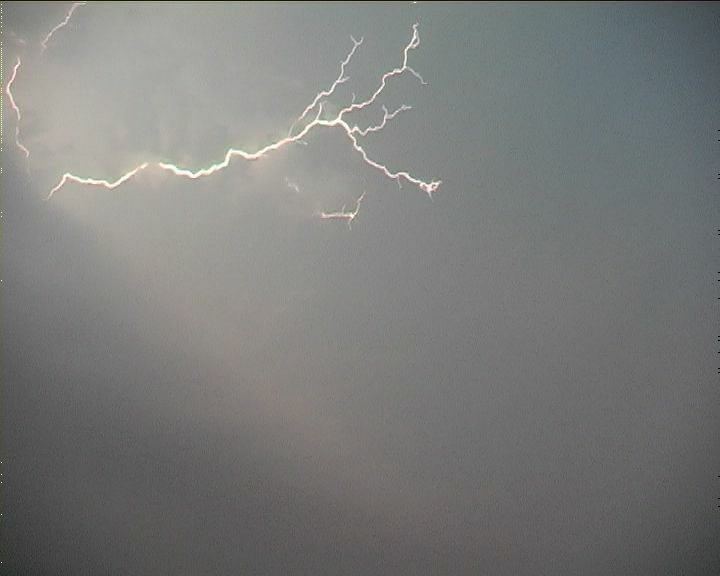 Powerful cloud to ground lightning was another feature of this day - a product of the high energy environment. 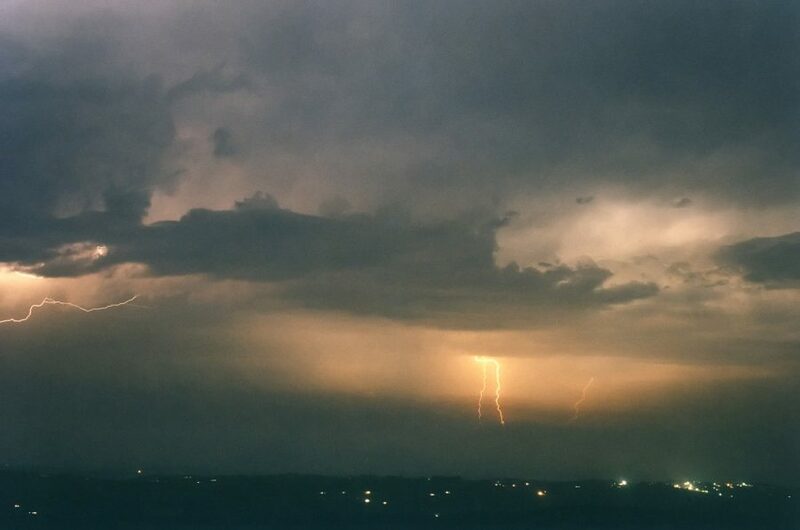 The event was capped off by a spectacular frequent-lightning show! Simply an amazing event!! When cut off lows move toward the southern Plains of Tornado Alley, the pattern setup is often ideal. 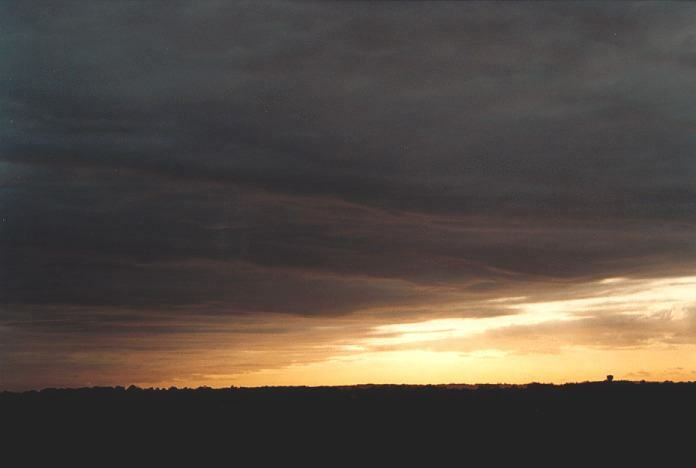 Low level moisture is advected northwards and upper level winds often setup conditions for tornado development. 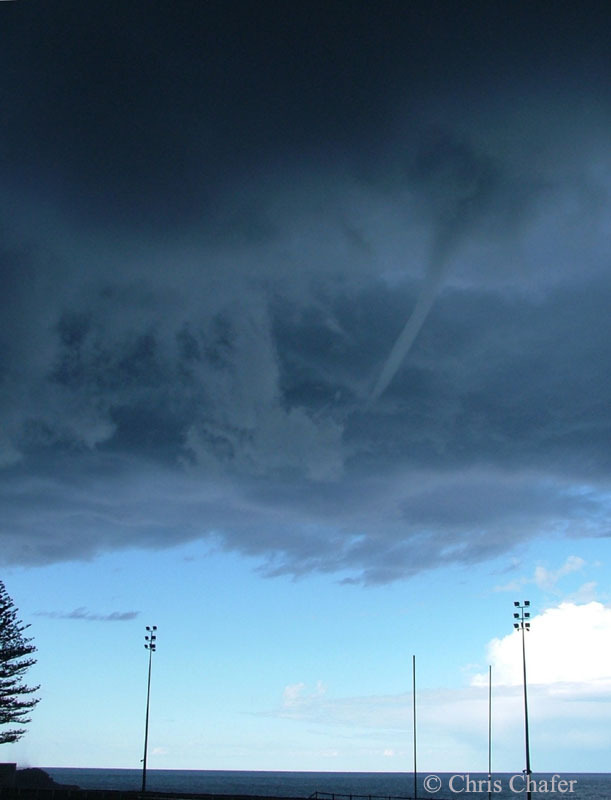 Conditions on 30th April 2004 was therefore not out of the ordinary. 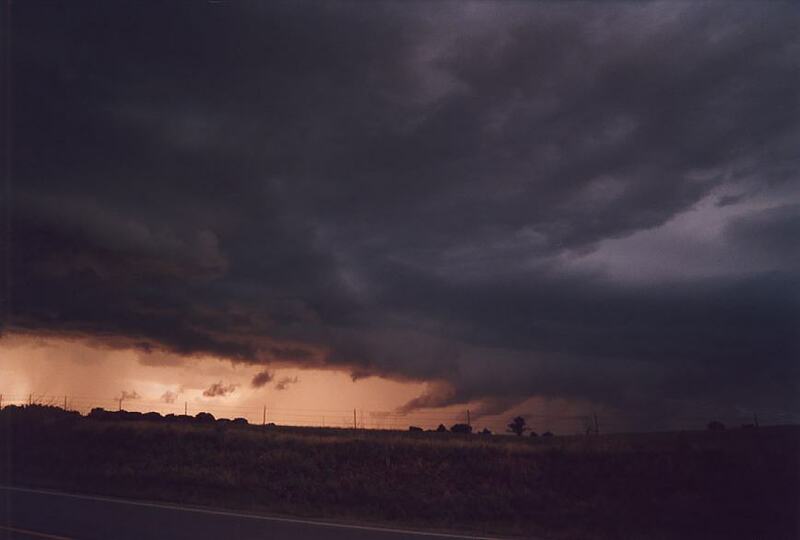 Supercells and possible tornadoes were anticipated. 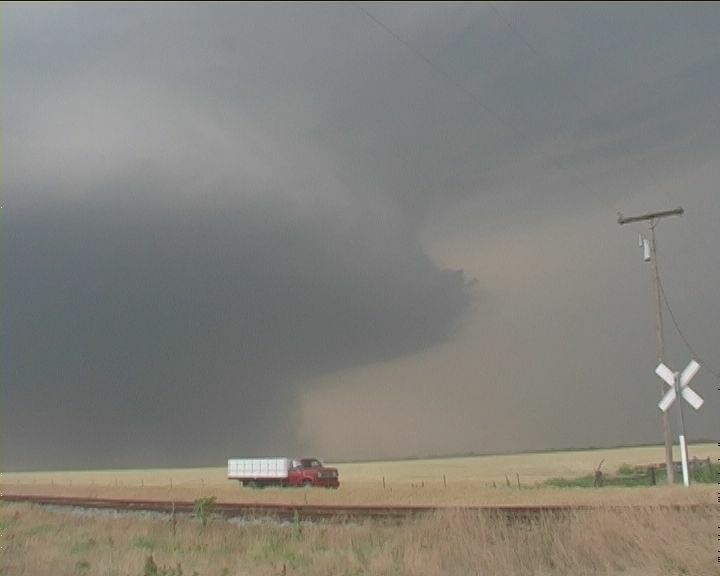 Included here is a rotating wall cloud of a supercell south of Graham, Texas. 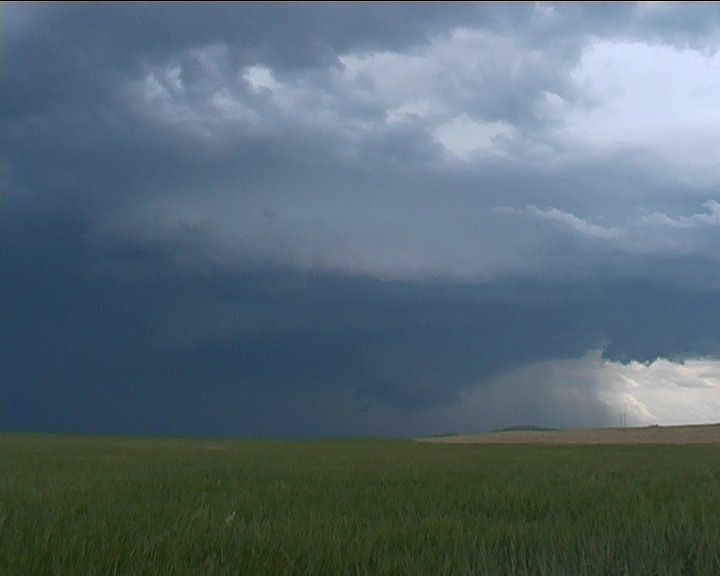 The second supercell was a high precipitation "mothership" and next in line. 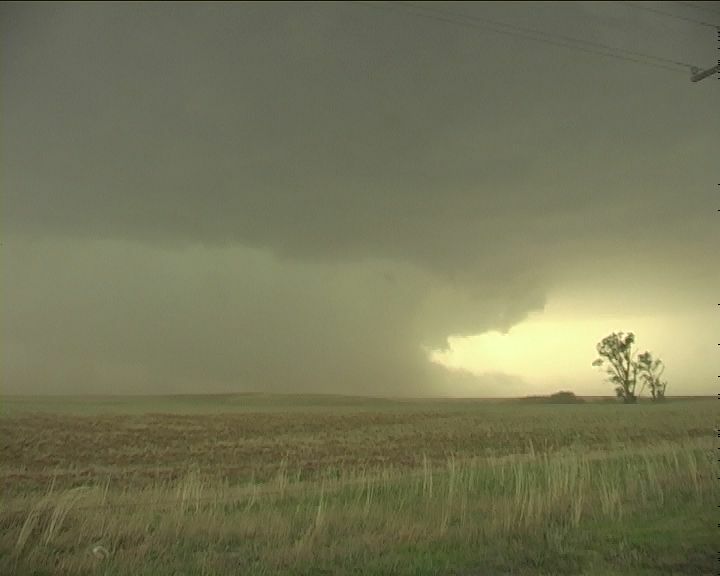 Both supercells were tornado warned and produced the largest hail on the day up to 4 inches (10cm) in diamater. 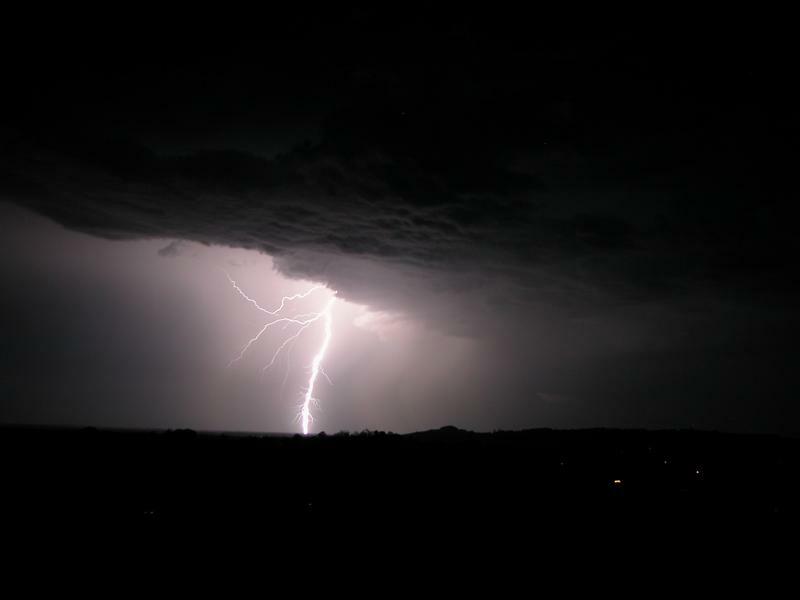 Frequent cloud to ground lightning was also a danger on this day in the high energy environment. 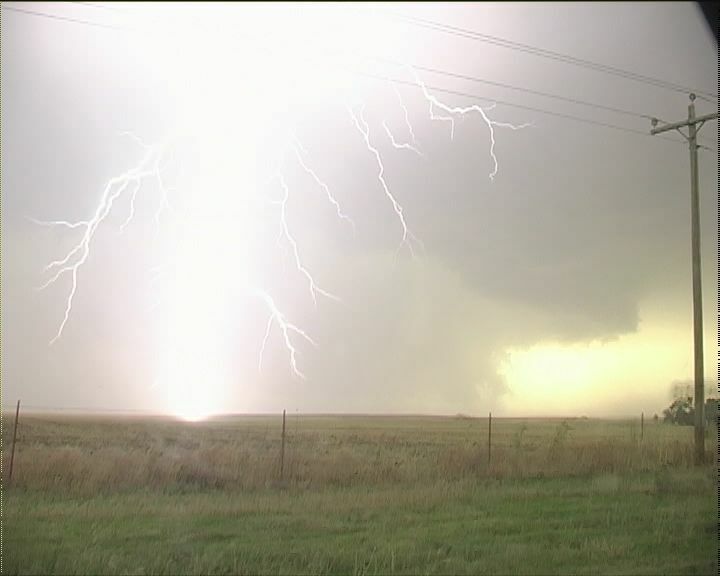 In fact it was reported a group of chasers had a close call with lightning from one of the storms on this day. 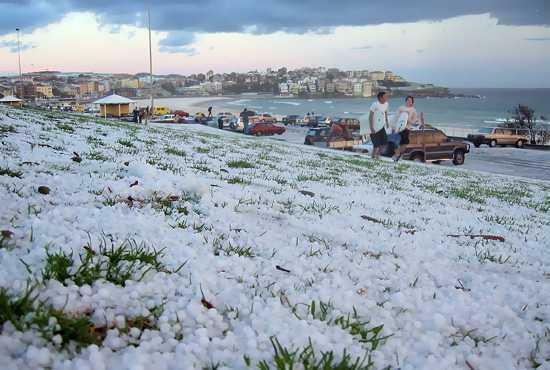 The 25th October 2003 may have devastated extensive areas of north west Sydney with hailstones the size of tennis balls, but the north coast region also got its fair share. 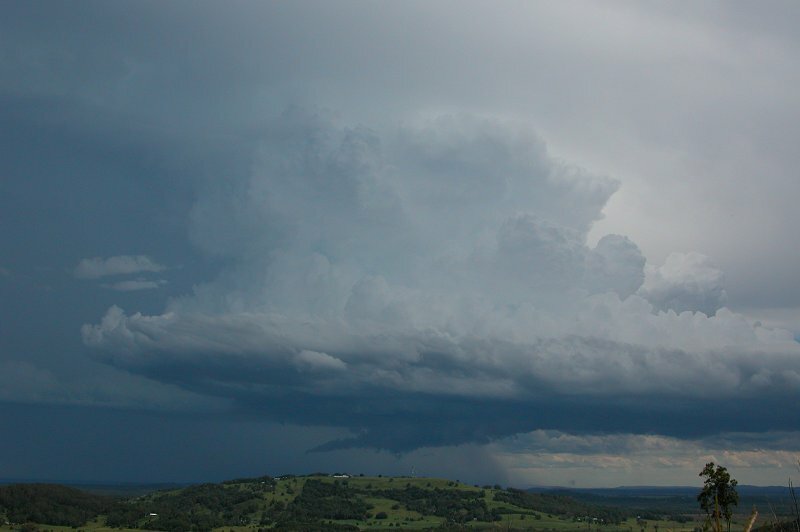 Severe storms developed on the Northern Tablelands exhibiting an impressive wall cloud and striated cloud features. 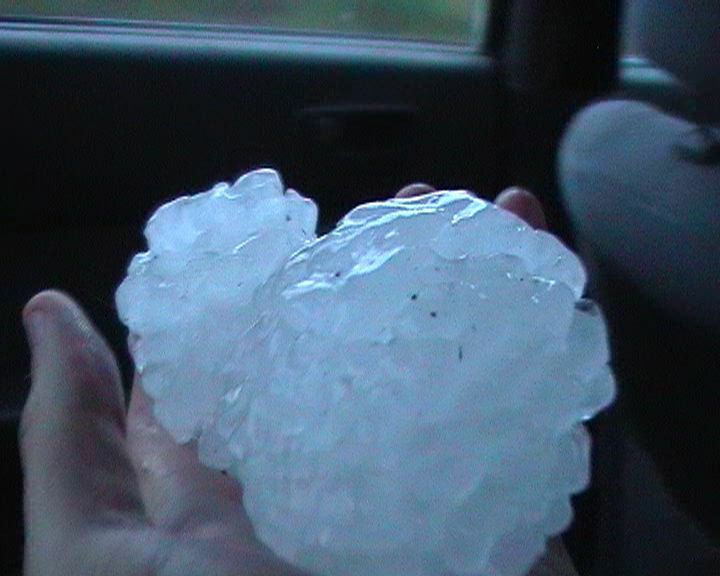 This supercell dumped hailstones about the size of golf balls and larger. The fact that it was sporadic indicates the strength of the updraughts holding the hailstones aloft. 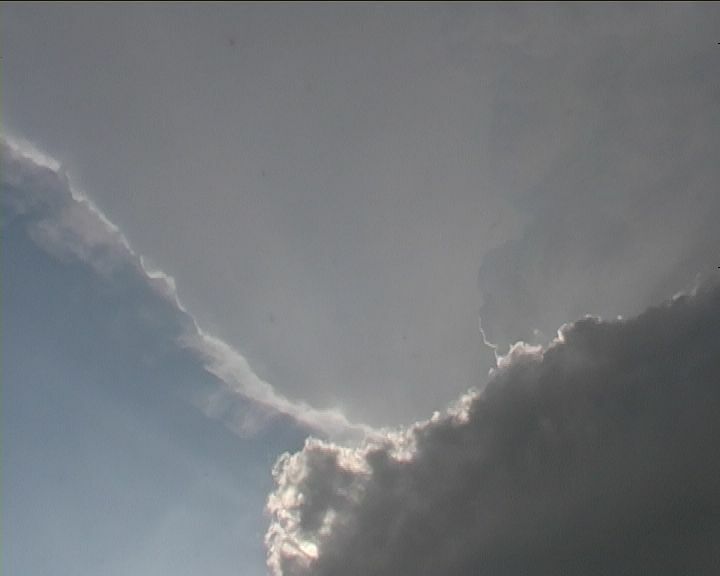 The storms developed in an unstable atmosphere and supported by favourable wind shear dynamics; clockwise rotation easily observed with timelapse. 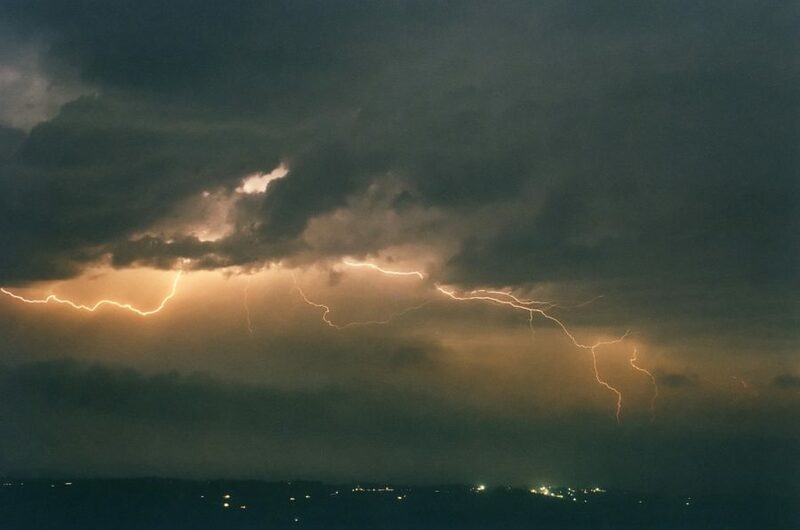 The 12th December 2003 was not only a day with severe weather reported across many districts in eastern NSW - it produced some frequent and powerful lightning bolts. 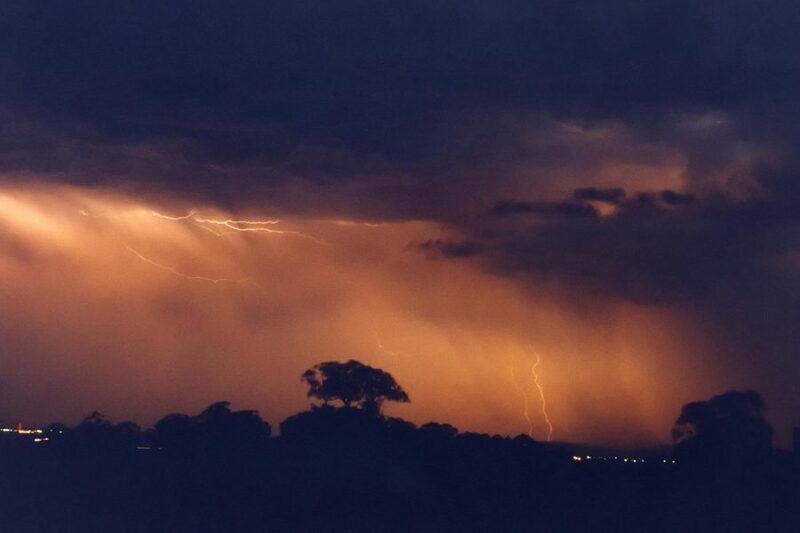 The remnance of an overnight lightning display passed over Sydney during the early hours in the morning with sunrise lightning. 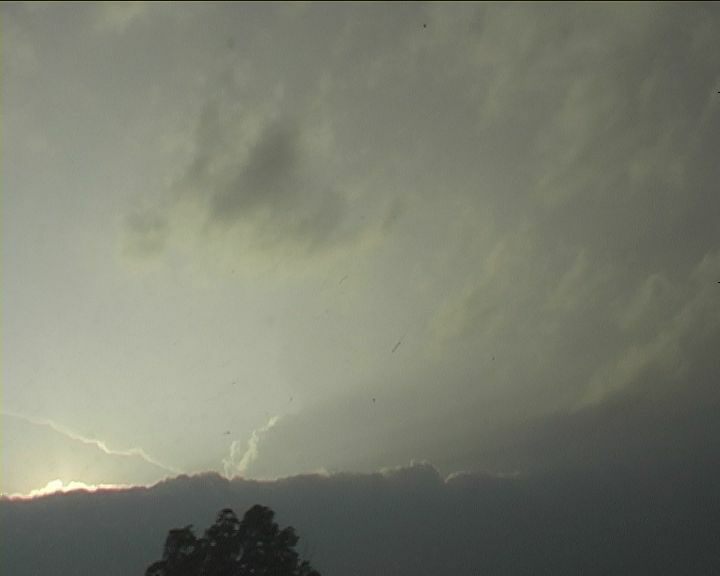 But the best display was that with powerful thunderstorms near Orange lkater that morning. 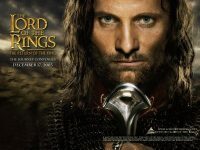 The 26th December 2003 premier of "The Lord of the Rings - The Return of the King" here in Australia has attracted a lot of media attention. 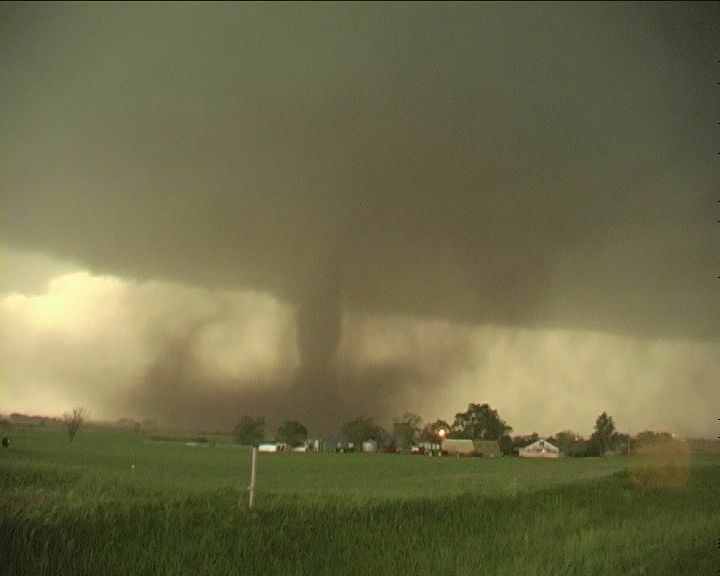 What few will know is that a selection of images were purchased from this Australian Severe Weather website to be included in this movie. For those who will or have watched the movie, you may note the background scenes of these images listed below.